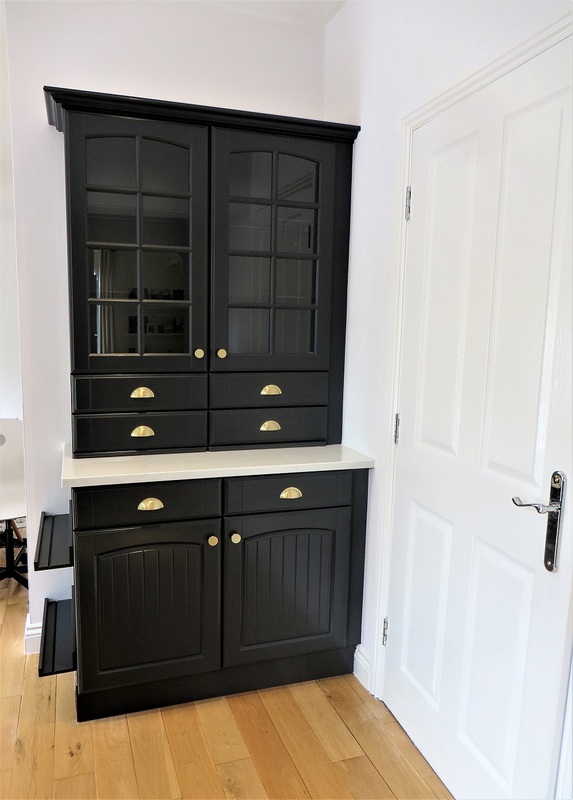 I painted these kitchen units for a couple living in Ilkley, West Yorkshire. 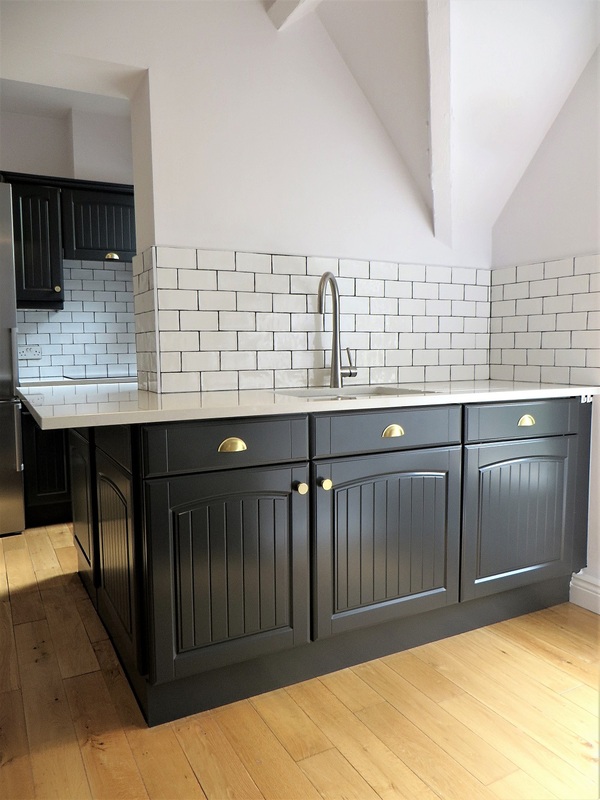 The client had a real vision of how she wanted her kitchen to look and from the outset had her heart set on a deep charcoal colour. 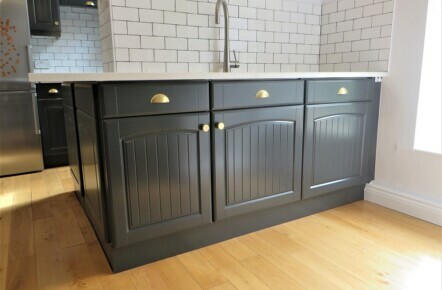 Last year, light to mid greys were the fashionable choice for hand painted kitchens. In 2018 it’s a turn towards the dark side, with interior magazines showcasing dark blue, dark grey and black colour schemes. 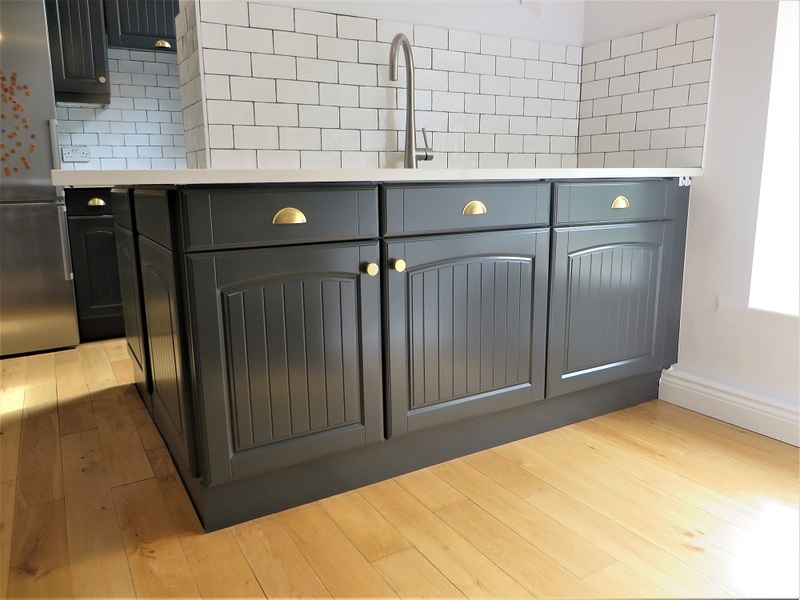 The colour chosen for this particular kitchen was Farrow & Balls ‘Railings’, which I had tinted to the equivalent colour in my specialist paint from Finland. 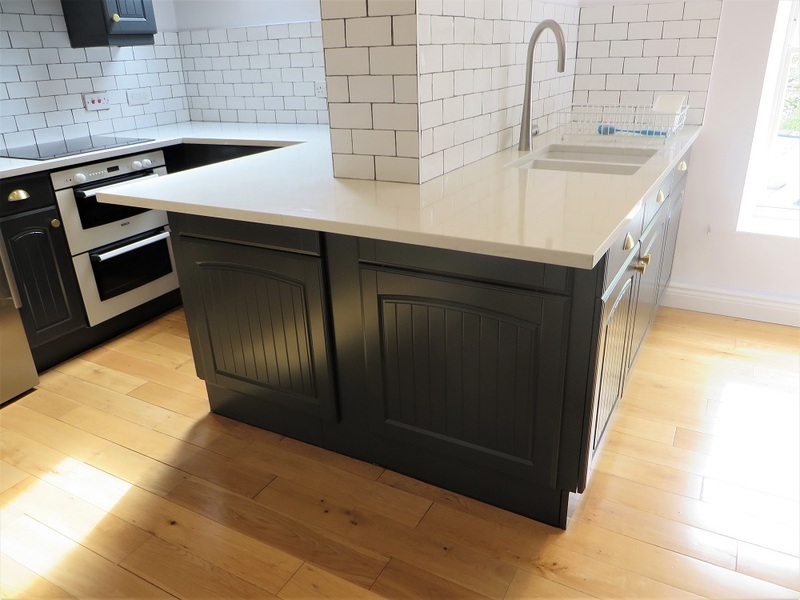 The kitchen itself was vinyl wrapped, a widely used material for kitchen doors that involves a thin layer of plastic (vinyl) being wrapped and bonded to a MDF substrate. Although these type of units are towards the budget end of the scale it doesn’t mean they won’t look great painted. 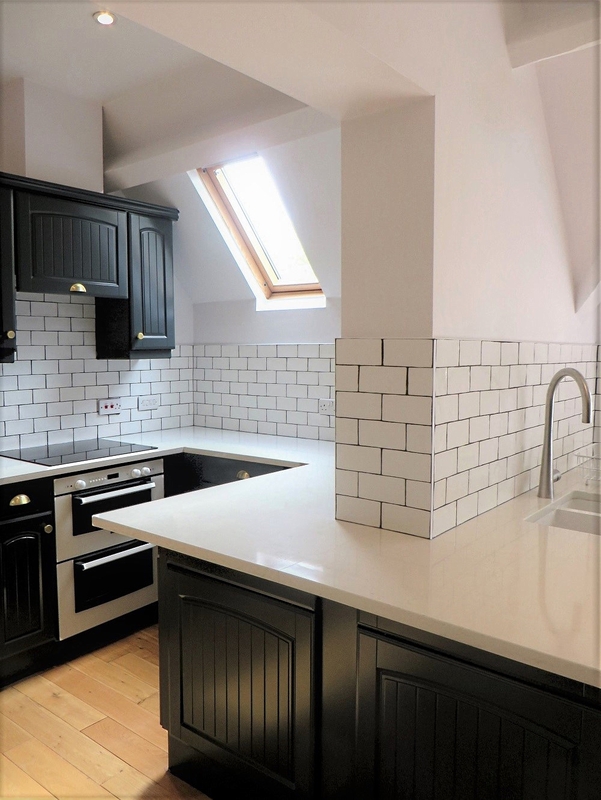 You can have a £100,000 kitchen but if it’s not painted well then it will look cheap and naff. A lot rides on that final painted finish. 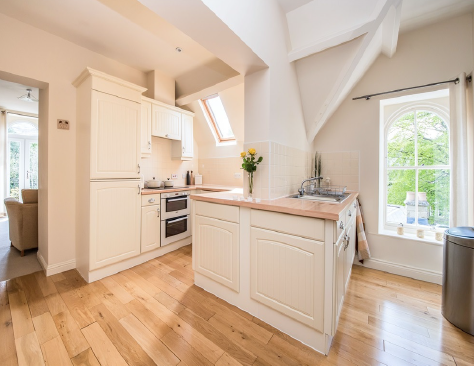 Various alterations were made prior to the painting, all of which were carried out my usual joiner/handy man, Colin Foggin (CF Joinery – Harrogate, 07931 430849). 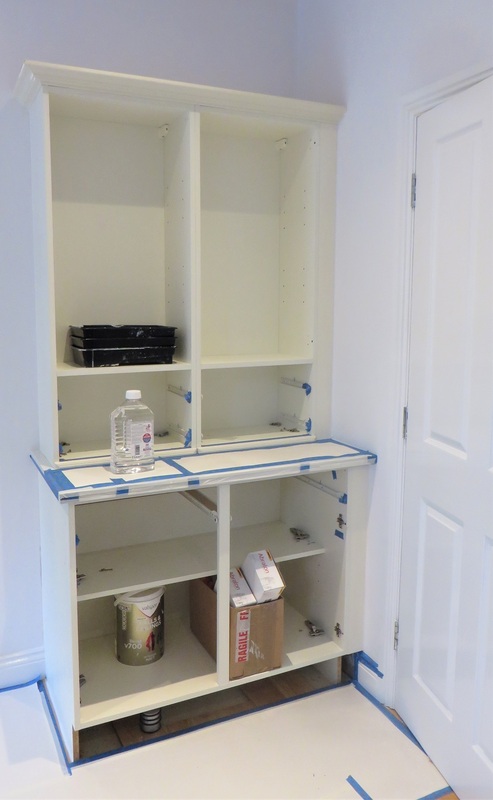 Colin removed some of the units to make space for a large ‘American style’ fridge/freezer, altered the shell to accommodate a new washing machine and added some shelves to the freestanding cabinet. 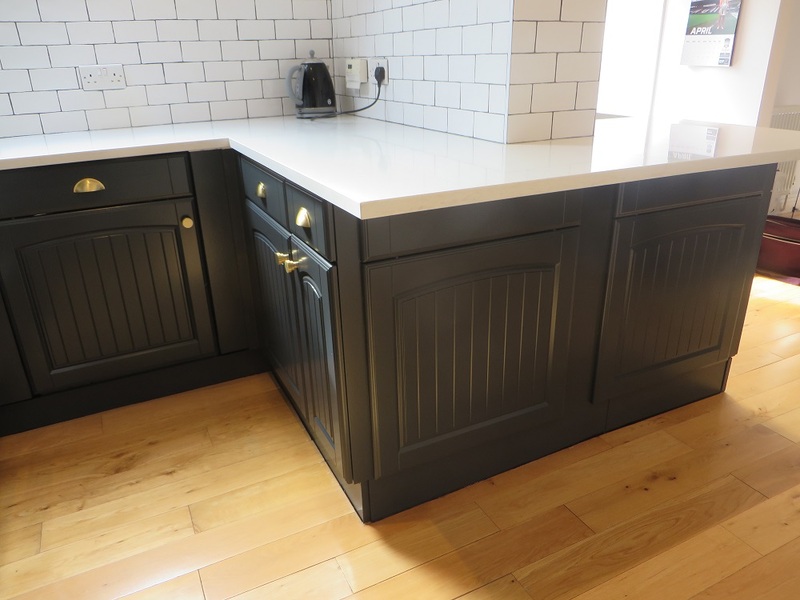 As with most mdf/vinyl wrap kitchens, the finish on the original doors wasn’t perfectly smooth and had a slight bobbly texture, which can’t be sanded back. This didn’t detract from the end result though as the transformation from light to dark was so extreme and the painted finish was still silky smooth and completely even. 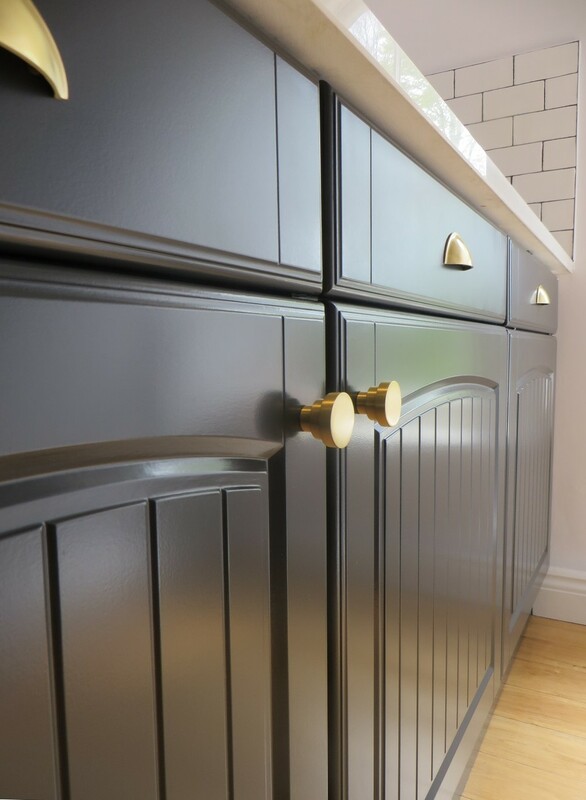 With the bold choice of golden brass half moon handles and tiered knobs this kitchen was certainly a show stopper! 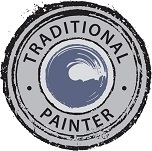 Lee works throughout Yorkshire and the UK and is within easy reach for projects in Otley, Illkley, Wharfedale, Patley Bridge, Bradford, Leeds, Wakefield, Halifax, Pontefract,York and the surrounding areas.